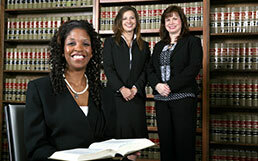 PAN GLOBAL LEGAL SERVICES is a law firm specialized in Immigration and Corporate Services. We have a solid reputation for being responsive, dedicated, and thorough which stems from an unyielding work ethic and thirst for knowledge. The more we know, the better an asset we are to you. It's not a secret that planning and preparation pays off. At PAN GLOBAL LEGAL SERVICES, we place an emphasis on details, as that is what allows us to provide you with the best legal advice and build the best strategy. Whether helping file for Residence Applications or Work Permits, we prefer to advice before you come to Panama and cover all the bases. Our goal is to provide you all the guidance you need, all the in advance immigration attorney fees, so you may program your relocation budget. We also provide corporate attorney services so you may transfer your assets and business taking in consideration this costs. This is our way of ensuring you get the proper attention and the best service possible. Immigration Category suitable for anyone willing to incorporate in Panama. Law No. 9 of June 24, 1987 establishes a series of exemptions, benefits and privileges for those who retire in Panama. Copyright © 2018 PAN GLOBAL LEGAL SERVICES. All rights reserved.